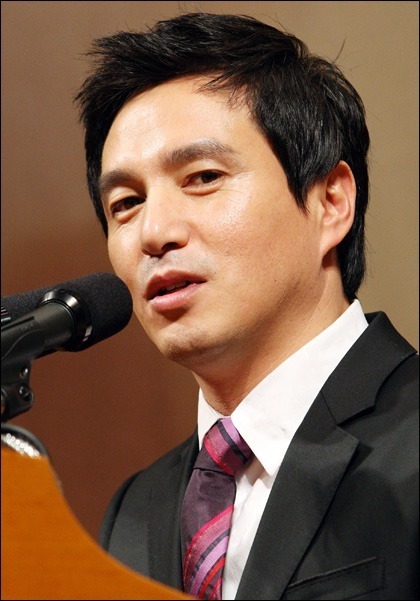 Veteran actor Cho Jae-hyun, 45, was nominated as the Gyeonggi Arts Center chairman, the arts center said on Sunday. The Gyeonggi-do Office decided to appoint a private-sector expert with wide field experience in performing arts for the post from this year. The position has previously been held by the Gyeonggi Province governor. The KBS actor, selected through an open audition, made his debut in “Portrait Of The Days Of Youth” (1990). Alongside his active acting career, Cho has been working as a programmer for a theater venture firm Yeongeukyeoljeon. Also, as Gyeonggi Performing & Film Commission chairman since last January, Cho has carried out diverse projects including hosting the DMZ Korean International Documentary Film Festival.